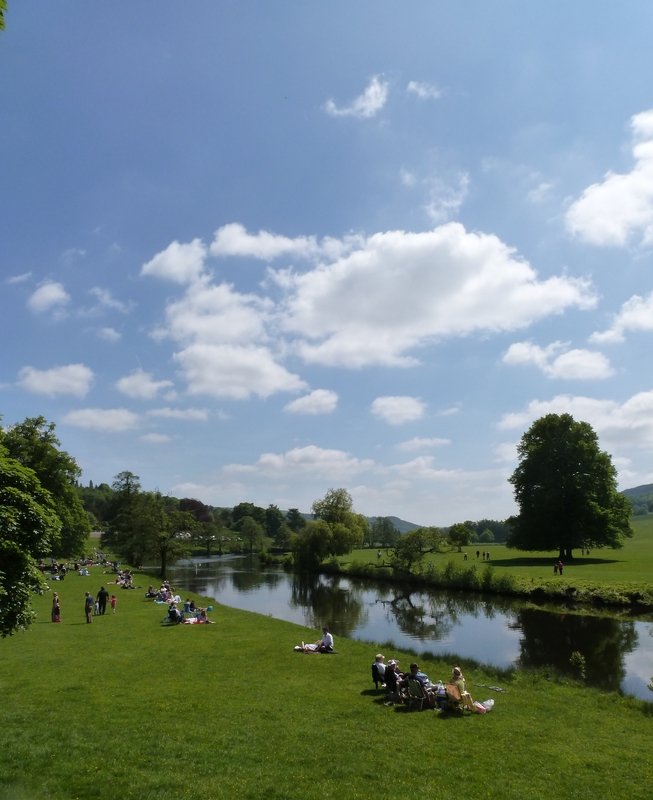 Two geocache finds make a nice addition to our sunny day’s outing in Derbyshire as we sample offerings at Chatsworth House’s food and drink fair and accidentally visit the National Trust’s Longshaw Estate. 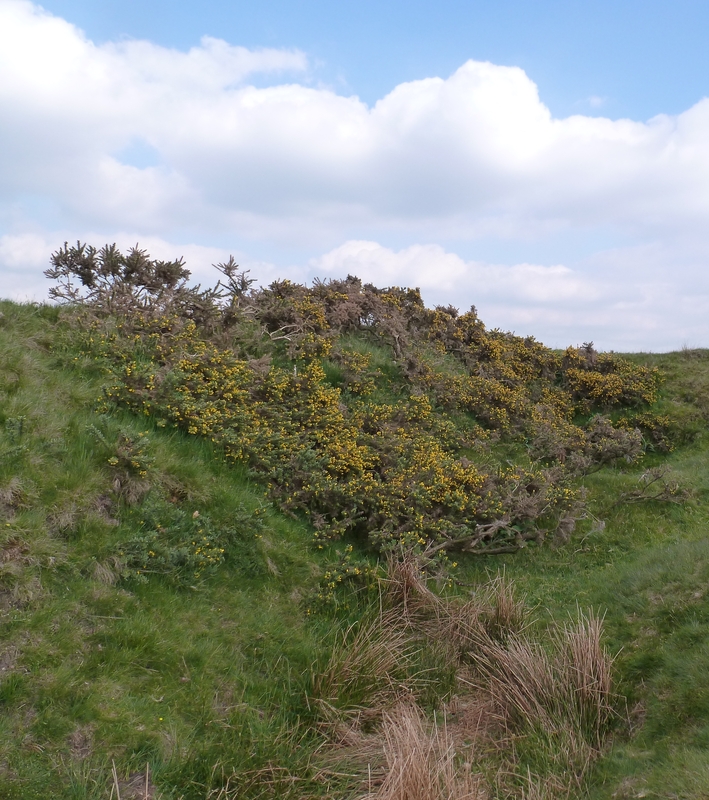 Although we flew to the UK mainly to visit dagdvm’s family, we also managed to find 55 geocaches between 8 and 21 June in West Yorkshire, Derbyshire, Northumberland, and Berwickshire. We were warned to pack for rain and cold but were pleasantly surprised to find both in very short supply during our stay. 9 June was another unbelievable weather day featuring hot afternoon sunshine in wide-open blue sky. 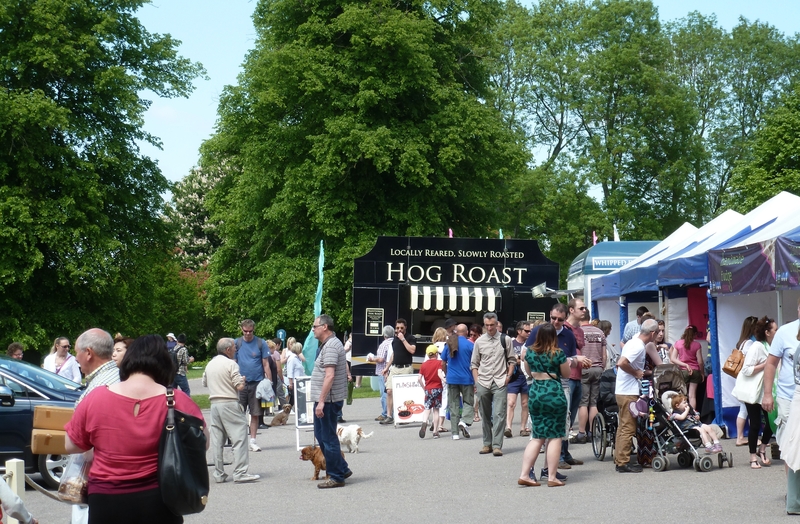 Chatsworth House’s food and drink fair took place over the first two weekends in June and we arrived on its last day. Scores of stalls were set up on the hill below the stables, and hundreds of people and a large number of their well-behaved dogs made the rounds. We took in the scene before walking across the bridge over the River Derwent and up a rise in search of Swiftsure (GC53Y08), our only planned geocache hunt of the day. 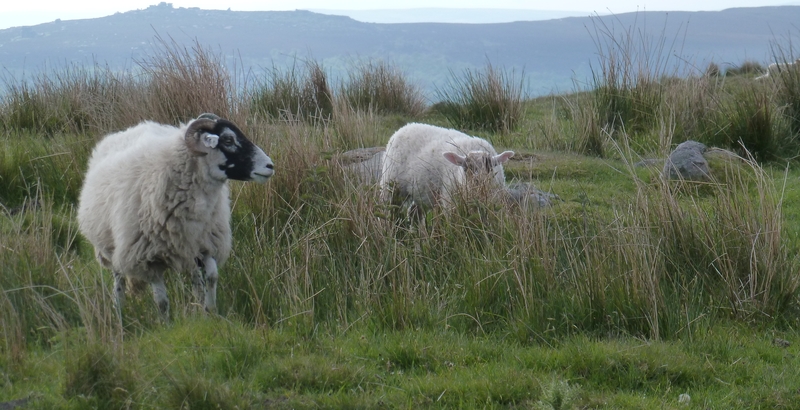 We headed uphill across this sheep’s paradise towards ground zero. Ewes led their singletons and twins in and out of the heat, feeding in sunshine and sheltering under the large shade trees which dotted the meadow. 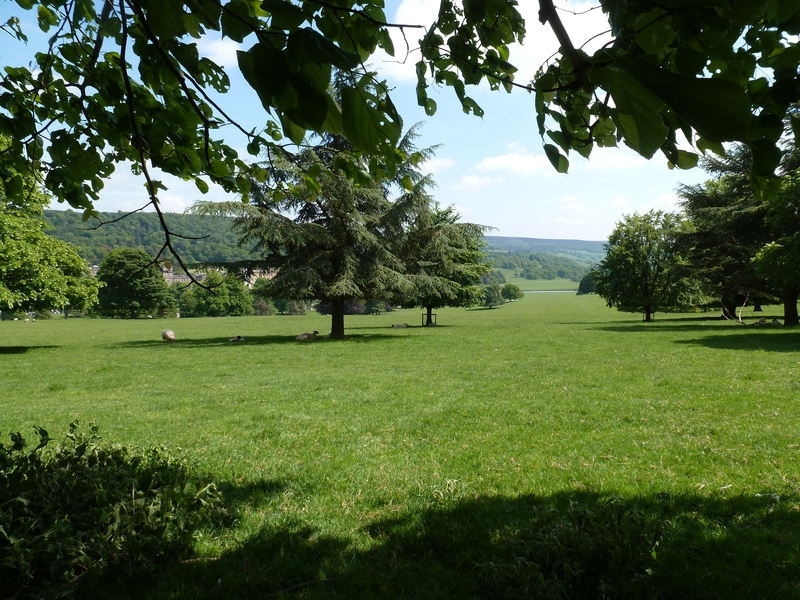 After we found Swiftsure (GC53Y08) we were rewarded with a fine view for our walk back down the meadow towards Chatsworth House and the food and drink fair. Once there we struggled to find decent non-meat options among the mainly carnivorous offerings, many of which admittedly smelled mouth-wateringly good. Ultimately we succeeded in finding a decent vegan paella which we ate at a shaded table. We never actually made it inside Chatsworth House itself because it was much too nice a day in too nice a setting to spend much time indoors. As we drove back towards the Holmfirth area, the western views pulled us over. We turned our GPS receivers on hoping for a geocache nearby. Sure enough, Longshaw Geocache 2 (GC2QTWX) — a geocache placed and maintained by employees of the National Trust — was less than 200 feet away! Longshaw Geocache 2 (GC2QTWX) is one of a series of geocaches meant to entice visitors to explore Longshaw Estate via trail. Find all five in the series and use the special hole punches within each as proof and you can claim a free cup of tea at the estate’s Visitor’s Centre. Since we only found one in the series we didn’t earn a cup of tea, but we certainly enjoyed our short time in the area. Two nice geocache finds, one planned and one accidental, framed our great afternoon out in Derbyshire, one of many fine geocaching days during our UK vacation. Please see “Daddy, Why Is the Sun Shining in Manchester?” for an overview of our June 2013 UK geocaching days. 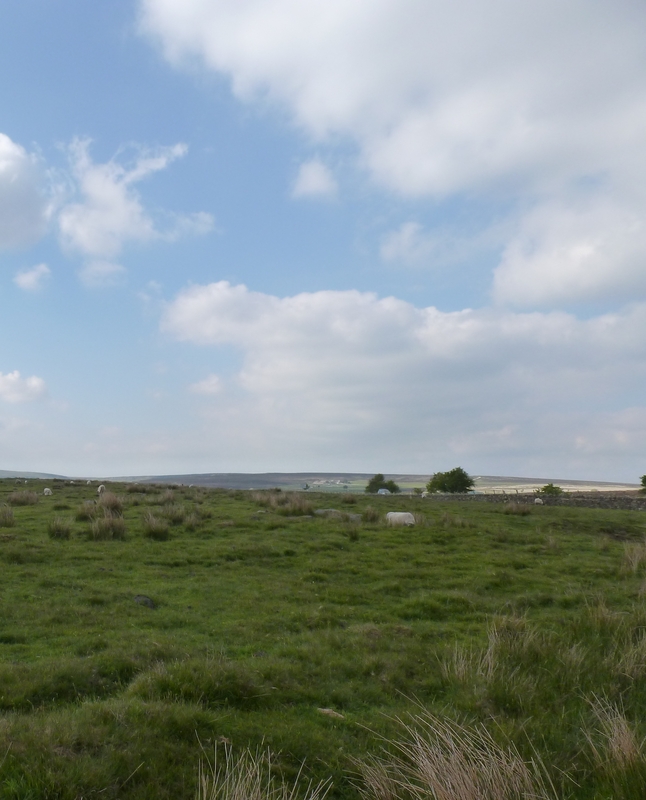 This entry was posted in found it, road trip, UK June 2013 and tagged Alnwick, Chatsworth House, Derbyshire, England, GC2QTWX, GC53Y08, geocache, geocaching, Holmfirth, Longshaw Estate, National Trust, nature, Outdoors, photography, photos, UK, West Yorkshire. Bookmark the permalink.